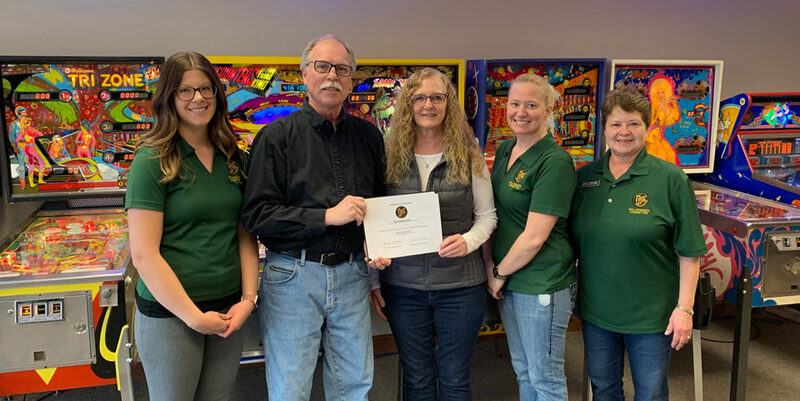 The ISD 88 Foundation has joined the New Ulm Area Chamber of Commerce and the Willkommen Committee stopped by to welcome them as a new member and to meet their new executive director Kim RockVam. The mission of the Foundation is to enhance the quality of education in ISD 88 while creating partnerships between our schools, our communities, and alumni. A big part of Kim’s job as director is to be out and involved in the community. Kim has quite a bit of non-profit experience, as she has worked for both United Way and the Oak Hills Memorial Foundation. The annual fundraiser, The Eagles Extravaganza, is coming up on April 6, 2018. Learn more about the Foundation and how to get involved by visiting their website, www.isd88foundation.org. Welcome! 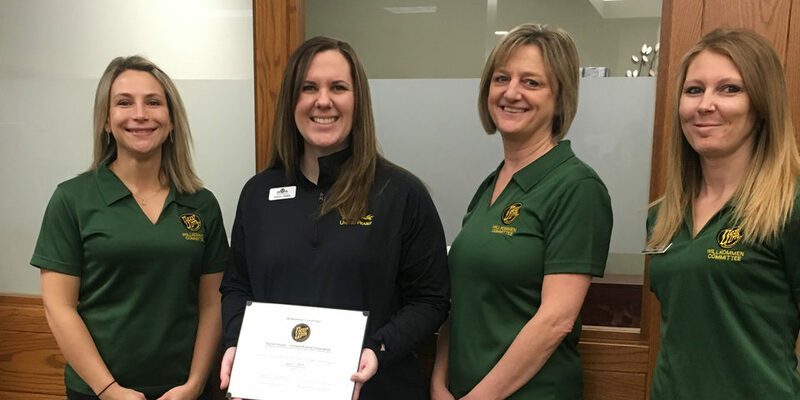 In the photo are: Brian Serbus, SouthPoint Financial Credit Union; Katie Nosbush, United Prairie Bank; Kim RockVam, ISD 88 Foundation; Ryan Domeier, Rooms and Rest Furniture.